At St Joseph's we want our children to be able to explore technology in a safe way and remain safe in all aspects of life. 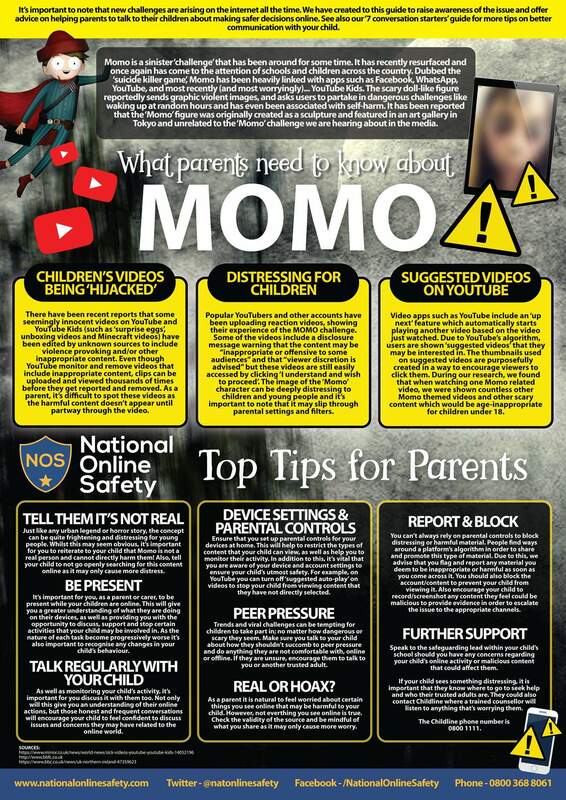 The information and links below provide advice and resources to use to help you in keeping your child safe. Do you know how to surf the internet safely? What do you do if something doesn't feel right? What shouldn't you talk about on the internet? This poster outlines a few ways on how to stay safe when using the internet. If you need to report online abuse simply click on the link at the bottom of the screen to CEOP (child exploitation & online protection) or speak to a member of staff in school. We have five designated safeguarding leads within school, who you can speak to if you have concerns about any safeguarding issues - Mr Barraclough, Mrs O,Loughlin, Mr Senior, Mrs Stanbridge and Miss Faubert. Parents can find more information on CEOP and the Think U Know websites - both links are at the bottom of this page. The following links will take you straight to the NSPCC resources. There are numerous parent guides to online games and apps etc, which will help you to keep your child safe online. 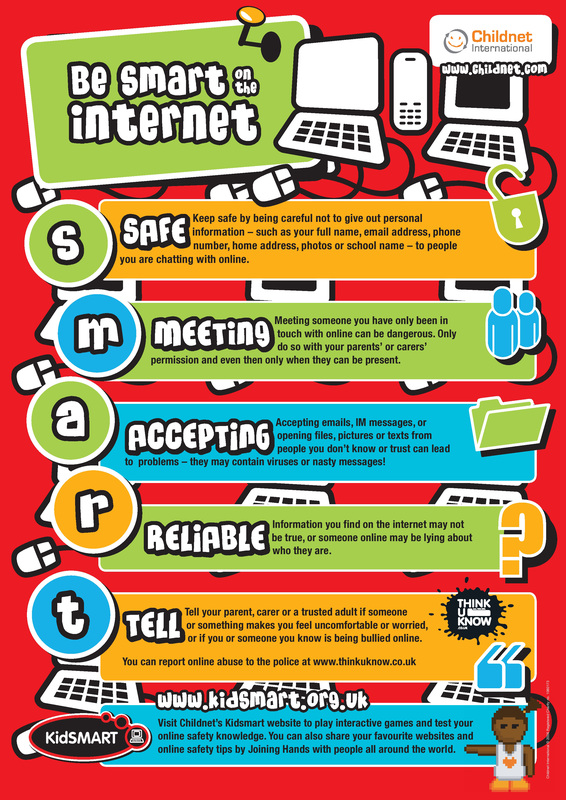 There is also more information on online safety at www.childnet.com and www.kidsmart.org.uk. Another excellent resource on 'digital parenting' can be found on http://vodafonedigitalparenting.co.uk/ In addition, our Online Safety Policy, provides further information and advice. This can be found in the Parents / Policies section of this website.